1. Make a sincere effort to be so consumed with work and personal interests that you have as little time as possible to spend with your child. Do not be deterred by frequent pleading from your spouse or your youngster’s tears. To realize your long-term goal, you must turn a deaf ear to their selfish demands. 2. Commit firmly to remaining disinterested in information which concerns the raising of bilingual children, whether in print or online. Instead, fix your attention on important things like sports statistics and celebrity gossip. Spend additional hours arguing about such topics with strangers in online forums. 3. 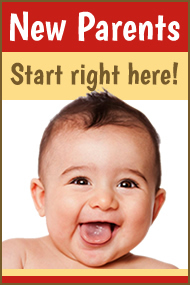 Actively skirt any constructive discussion of your child’s language development with your spouse. Refrain, in particular, from creating a concrete strategy for nurturing the child’s minority language. The approach linguists refer to as “flying by the seat of your pants” will prove far more effective. 4. Devote yourself to not following through on ideas that might advance your child’s bilingual ability. By the same token, inconsistency is key to your actions. Don’t let yourself fall into the trap of regular routines when it concerns the child’s language development. 5. Do your utmost to avoid speaking to the child. When you must respond to an overly inquisitive tot, use no more than two or three words and—this is very important—do not look away from your cell phone or computer screen. Ideally, you should simply grunt once or twice and maintain concentration on your urgent business until the child sadly withdraws. 6. Strive to read aloud to your child as infrequently as possible. When, despite your best efforts, you find yourself in this potentially nurturing position, always choose the dullest book on hand and read in a weary, soulless voice, yawning loudly at every page turn. 7. Make sure you have no more than half a dozen old, ratty picture books in your home. A good rule of thumb is one book per child. If you have more than six children, instruct the smallest ones to share a single book. You will be teaching the importance of sharing at the same time. 8. Endeavor to keep your home as barren of resources in the minority language as you can. Remember, the fewer resources available, the more likely you will achieve your ultimate aim. To further frustrate the child’s bilingual development, seek to increase resources in the majority language instead. 9. Turn to the power of positive thinking by telling yourself: “I’m a friggin’ native speaker so my kid will pick up the lingo easy! No problem!” Reinforce this message at home by telling your spouse to stop worrying so much about your child’s language development. Relax with a bottle of fine wine. 10. Pay close heed to every person who gives you his two cents about raising bilingual children, particularly the most uninformed. Take to heart the advice that rearing a child with two languages will confuse him, even damage him, and lead to a life of crime and incarceration. 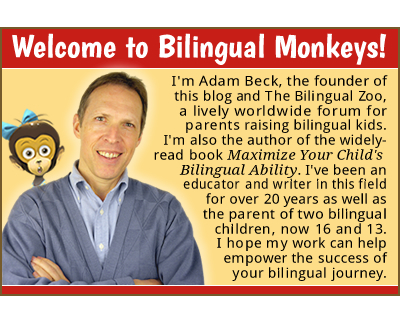 For a set of more serious-minded ideas, see My Best Tips for Raising Bilingual Kids. How about you? 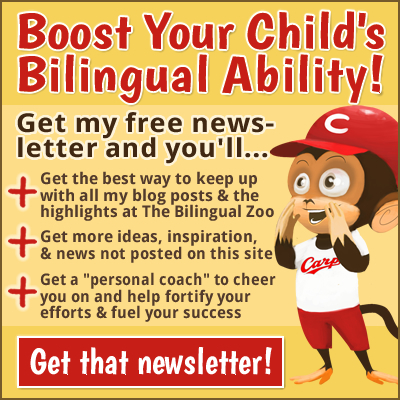 Any more tips for failing miserably at raising a bilingual child? Annika, thank you for the kind comment! And thanks for sharing this post on your Facebook page! I’m embarrassed to say that I don’t have a Facebook page yet myself, but it’s on my list of resolutions for 2013! Thank you for this hilarious post! So many serious posts have been written about multilingualism that it’s so great to read something funny about it (that is also true at the same time). You have inspired me to write a part 2 to this- is it OK if I publish it on my blog once it’s finished? Olga, I’m glad you like it! As for posting a “part 2” on your blog, that’s fine with me and I look forward to reading it! Cool, composing now Thanks for the great article and the idea. I’m going to share it all over the Internet. This article is mainly responsible for my great mood today! I’m so happy to hear that, Olga! It’s always nice to hear when a post has some impact on others. Arigato! Hi again! Yes, do join us on Facebook! I hope you’ve had many visitors from FB (at least some from Finland?) today. I’ve now had more time to read your posts, and there are many that I’ll share on my FB in the near future. 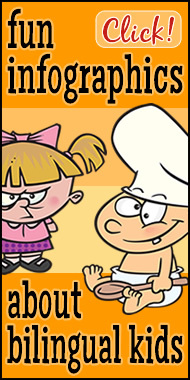 I absolutely loved the ridiculous riddles, for example—humor is a great tool for family bilingualism! I will definitely participate in the Christmas Giveaway, too! 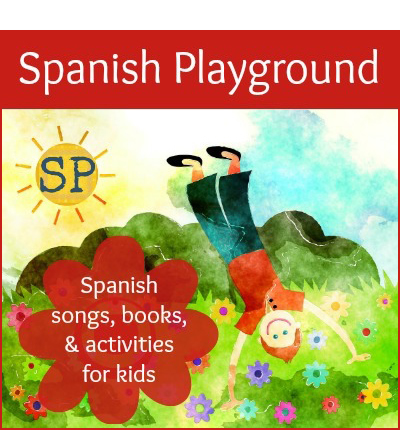 Speaking of Amazon, I actually just launched an idea book for multilingual families on Kindle. Here’s the link to Be Bilingual in case you want to take a look (as we both seem to be interested in finding everyday solutions to promoting bilingualism). 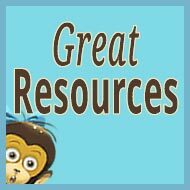 Annika, thank you for sharing my posts with others—I really appreciate it! And congratulations on your new book! It looks really interesting and informative. In fact, the maternal side of my family is from Finland, and my mother grew up (in the U.S.) speaking both Finnish and English! (But she doesn’t remember much Finnish anymore…) Anyway, I have a thought about your book and I’ll email you about it soon. I can’t wait to check out the rest of your site. 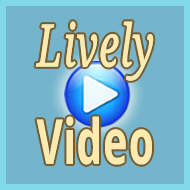 Please let me know when you join facebook (it only takes a minute) so that I can like your page. Lynn, thank you for your kind comment! 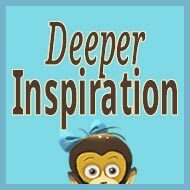 I really enjoyed your post, and I took a peek at your new blog, too. You’re a fresh, funny writer—keep up all the good work in the Netherlands! What a wonderful article. I am currently struggling to raise my child in a unilingual (German) environment. I have offered the Kindergarten free English and French session once a week (or month) with the kids, and was refused because their program is too full and that is just too complicated. I think I need to give them your article in print!! I’m happy you liked the article, Isabelle. But I’m sorry to hear that the school rebuffed your generous offer. Perhaps you could get a weekly group going outside of school, with other interested parents? Anyway, I wish you the best of luck with your bilingual goal for your child. Let’s keep at it! We can do it! 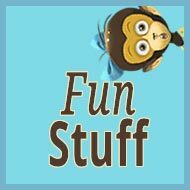 I recently learned about your blog from a friend and love it. Thank you! I have a bit of a personal question here. We are dealing with 2 kids (3 and 0) and 4 languages. Each parent’s native language, imperfect English spoken as a family language and the language of the country we live in. Our 3yo speaks English and my language roughly equally and well and acquiring community language fast at school. I still do wish my husband would give them his own language too, but it’s not happening. He is a great guy, but fits the first sentences of no# 1,2, 3 of this article and no#9 except the last sentence:) Any suggestions on what I can do or is that really not my call? Verca, thank you for your comment. I’m really glad you’re enjoying my blog. The key point is: Wouldn’t your husband rather communicate in his mother tongue with his own children? Wouldn’t he be able to connect with them more deeply that way? And wouldn’t he be happy, years from now, when his children have some ability in his native language, and they might even hand down his language to your grandchildren? It’s true, your husband may be busy with work and with other activities, but his children will be small only once, and these years are the very best time to nurture their language ability. If he misses this “window of opportunity” because he’s “too busy,” he (and your children) will probably regret it one day. I wish you and your husband the best of luck, Verca! Feel free to write again, via a comment or by email, if there’s anything more I can do! I’m one of those mums that find it utterly important for my son to speak my mother tongue. I’ve read a few articles/blog posts from you and I’m pleased to read them as it confirms what I do to teach my son. I know mums who do just what you’ve written in this article and I’m so pleased I don’t fall under any of those bullet points. My son is almost 4 and a few months ago he got it – he now speaks to me in my language and English with his Dad. I’m so happy and proud of him! Lina, welcome, and thank you for your comment. I’m glad my site is a source of support to you. And I’m really glad to hear that your son is now using his two languages as you had hoped. It’s a wonderful development and I applaud all your good efforts to foster this success! 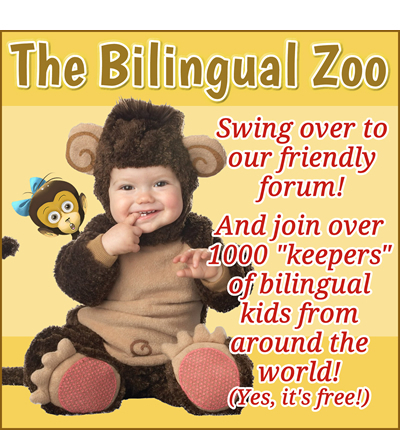 I’m glad to have found out about the Bilingual Monkeys website!! Well, I live in France and my husband and I speak English to our 16 months old girl; actually we’ve been speaking English to her ever since she was born. My concern is, she spends the whole day at day care where she is exposed to French. Now, she expresses herself in French NOT in English even though she understands English (when I ask her to do some things e.g. Sit down, stand up, kiss mummy, wave bye bye, etc.) BUT when I speak to her in English, she answers in French. I despair sometimes and wonder whether she’ll ever get to speak English!!! I am just worried that her level in French will be higher than in English…please help!!! Edith, I don’t know your situation in detail, but if you and your husband are consistently using English with your daughter (not also using a substantial amount of French), then I expect her English will develop well alongside her French. However, because she spends the “whole day” in a French setting—and she may already be aware that you are French speakers, too—then it’s only natural for her to try using French in your interactions. 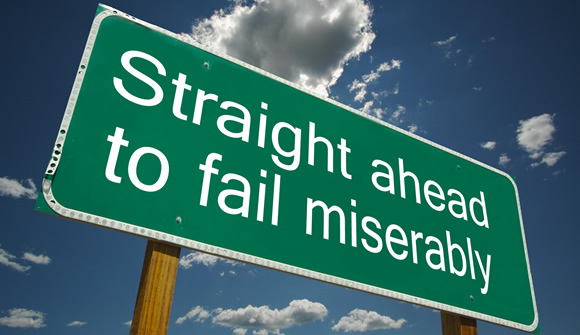 It’s much too early to “despair” (see Have You Failed At Raising a Bilingual Child? ), but I would encourage you to carefully consider the two “core conditions” of language acquisition: the child must receive sufficient exposure to the minority language and must feel an organic need to use it. For much more on these two “core conditions,” please see What to Do When Your Bilingual Child Won’t Speak Your Language. 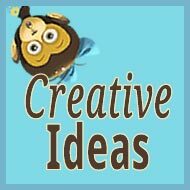 I’ve been reading your website for some time and found it very encouraging and full of ideas. The sense of irony here is great and I feel it’s an excellent tool to get the message across. We can share the laughter here. Speaking of how to fail, though, I have some concerns with my own bilingual family. I’m an English speaker living abroad and have taken to learning the “majority language” for work and family reasons. Here’s the catch, my wife’s mother lives with us to help look after the child, I find myself responding to her questions, and can even converse with her to some level now (she doesn’t speak English at all), while the boy is around us, at meal times for example. However, is this undermining my son’s bilingual development? His current situation I feel indicates this—he’ll direct the majority language at me (innocently), despite us doing activities and reading together in English. James, thanks for your comment. I hope my work can continue to be an encouraging source of support for you and your family. I’m not sure how old your son is, but the first few formative years are a crucial time for “conditioning” the child to respond to the minority language parent in the target language. Toward this end, it’s vital to be as proactive as possible about the two “core conditions” for success: the child must receive ample exposure in the target language and feel a genuine need to use that language actively. The “danger” in using the majority language regularly around your son is that you may undermine his need to use the minority language with you. The circumstances your describe are a bit tricky, but if it’s possible to gain your wife and her mother’s understanding and support, I would recommend erring on the side of caution and mindfully limiting your use of the majority language in front of your son (particularly during his early years), while providing him with as much input in the minority language as you’re able, day by day. Keep at it, James! I’m cheering for you! This is really funny. It must have helped countless people. Actually lots of people might have used these strategies. Glad you enjoyed it, Frankie! 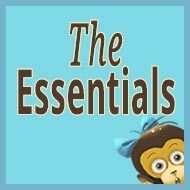 Next post: Christmas Giveaway at Bilingual Monkeys!